11th November 2018 saw the 100th anniversary of the ending of the First World War. 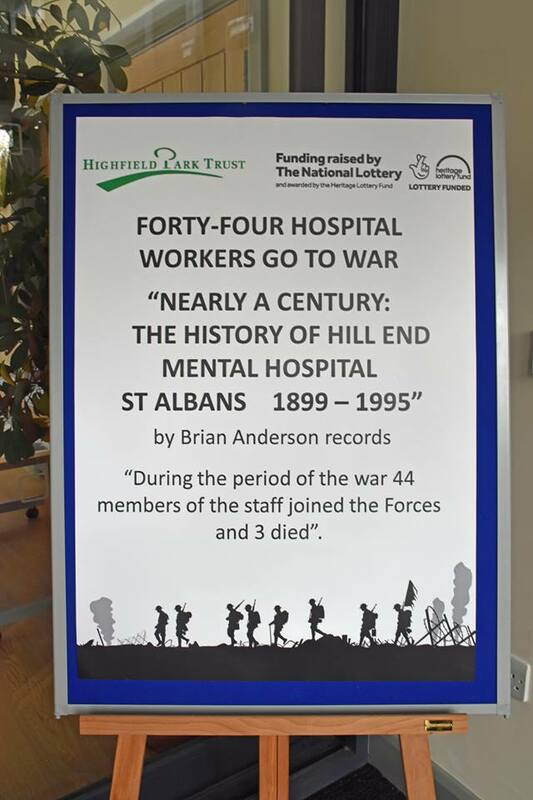 With the support of the National Lottery Heritage Fund, Highfield Park Trust was able to research and exhibit the stories of the forty-four Hill End Hospital workers who went off to serve their Country in the Great War. 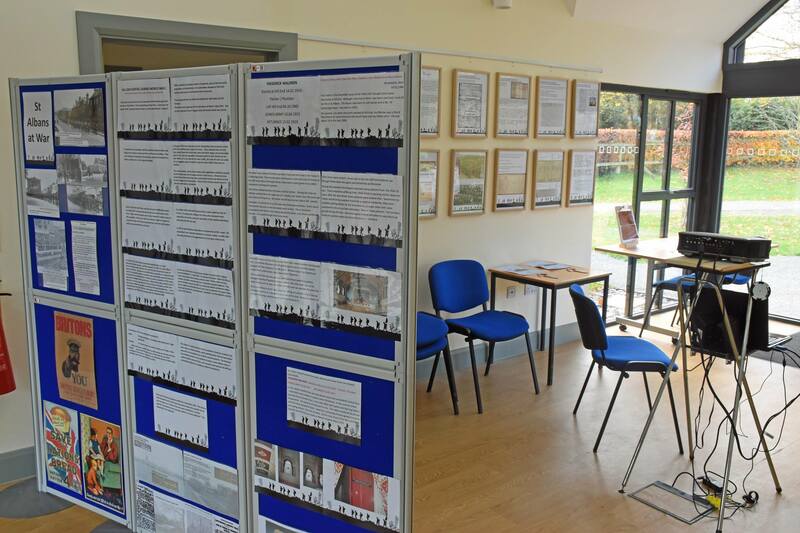 Infact the Trust were able to mount two separate exhibitions. 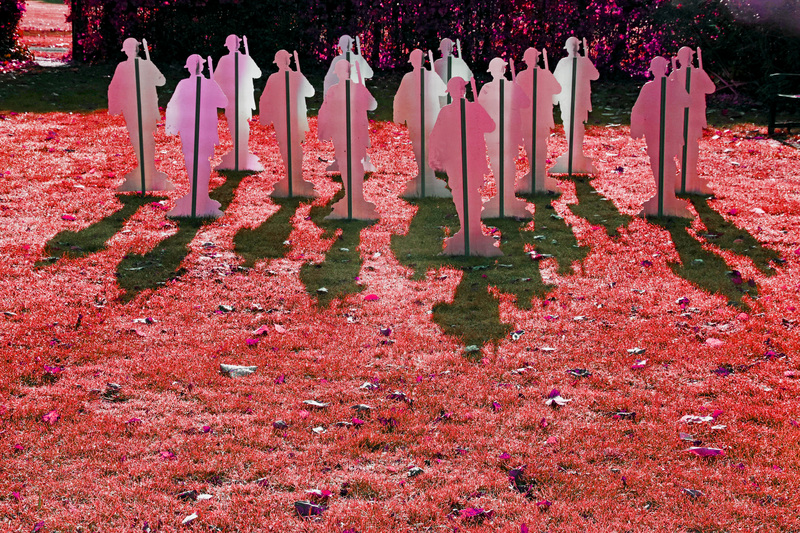 The first was more unusual and was in the Park. The second was a more conventional exhibition within the Visitor Centre. 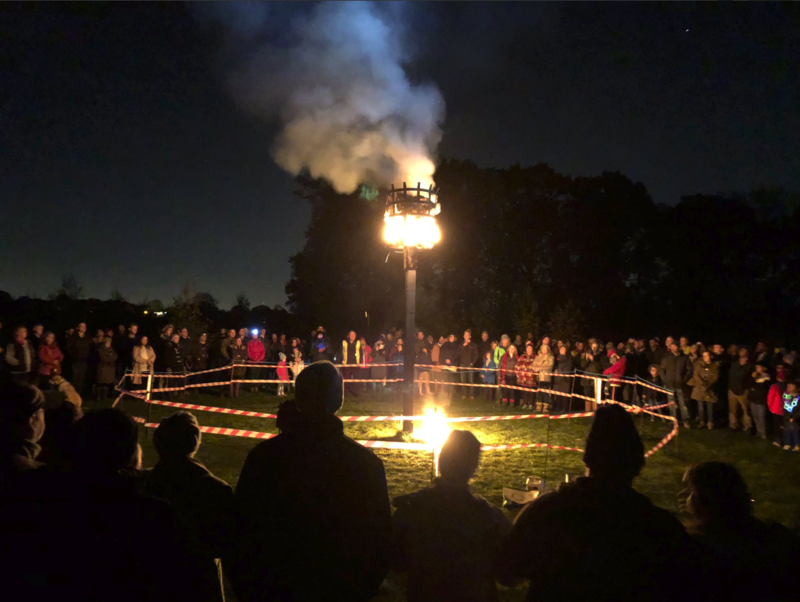 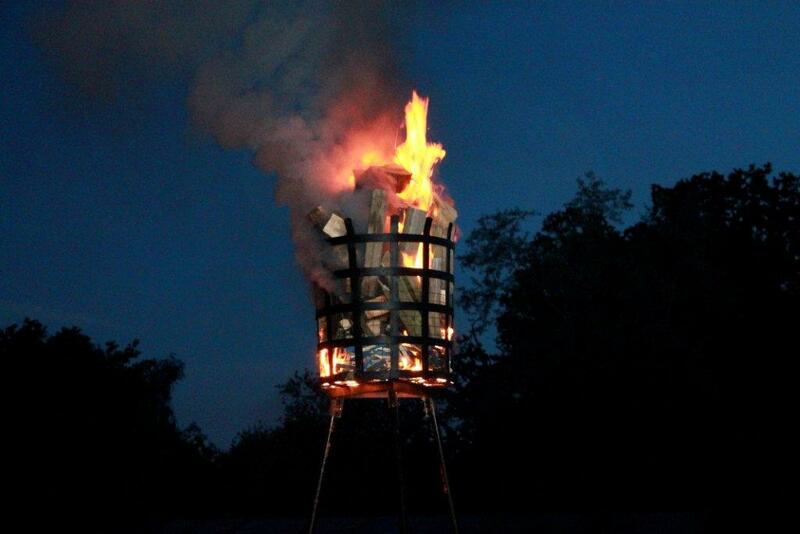 The external exhibition really caught the imagination of the public and started at 7pm on the evening of 11th November 2018, when Highfield Park Trust lit its Jubilee Beacon as part of the National commemoration to mark the end of the First World War. 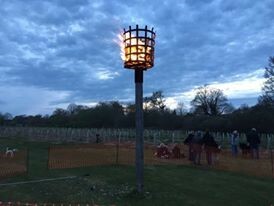 The Jubilee Beacon sits in one of two glades in Hither Wood and is connected through the tree-line to the second glade, where the Trust positioned fourteen soldier silhouettes that told the story of the forty-four hospital workers. 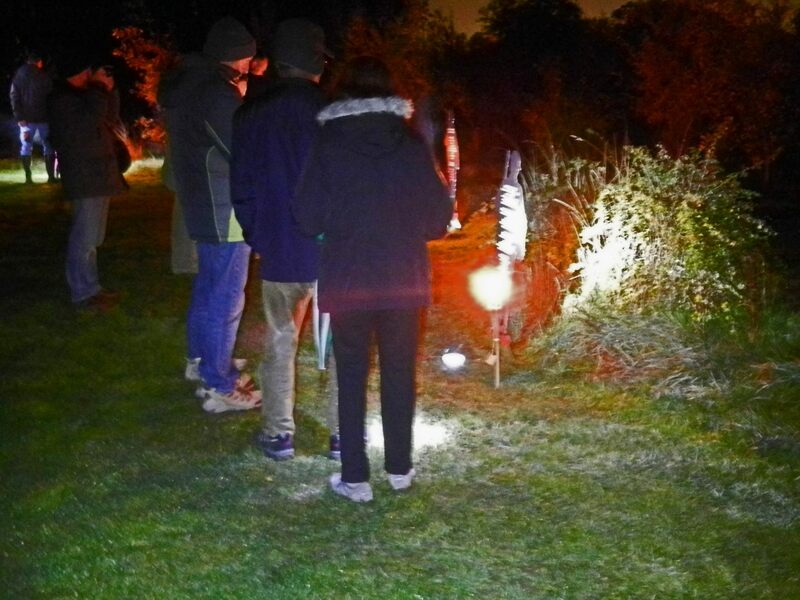 Hundreds of locals attended the event and saw the ring of silhouettes eerily lit by latterns. 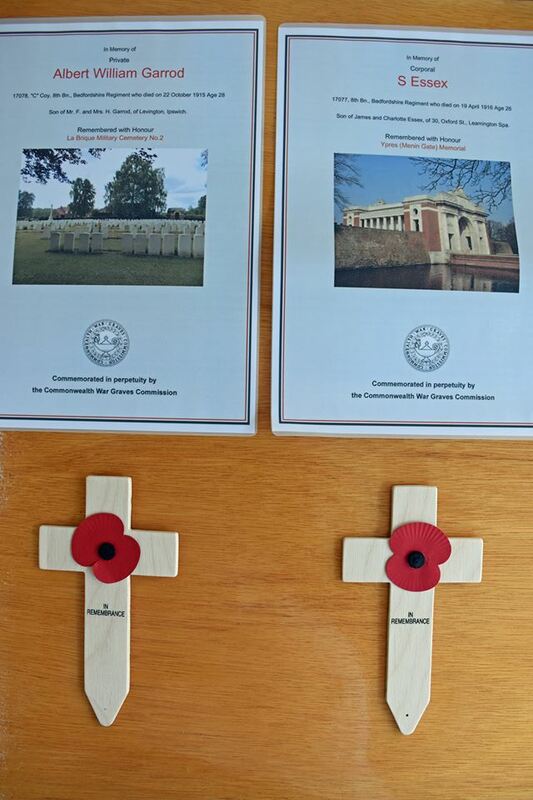 They provided an incredibly moving and poignant spectacle for everybody that attended. 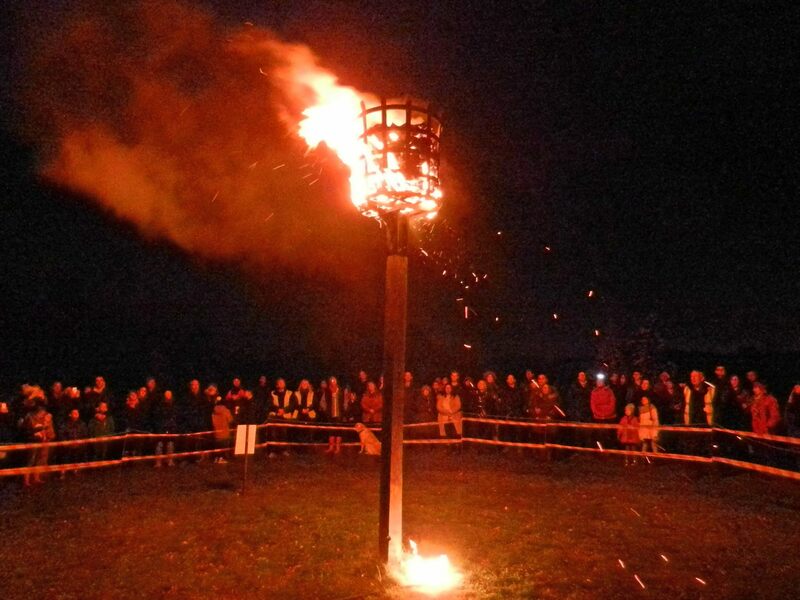 Readings were made and the last post sounded before the Beacon was finally lit. 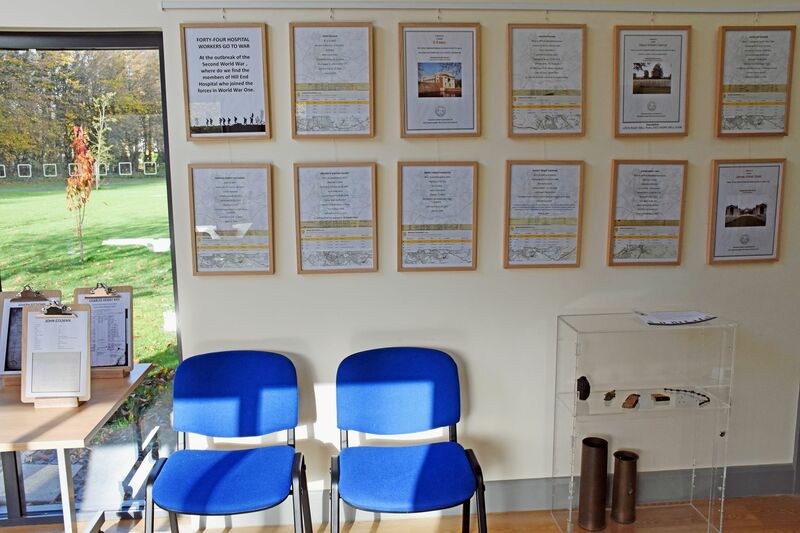 We felt it was a fitting tribute and the Trust was incredibly touched by all the emails and comments of appreciation that we subsequently received. 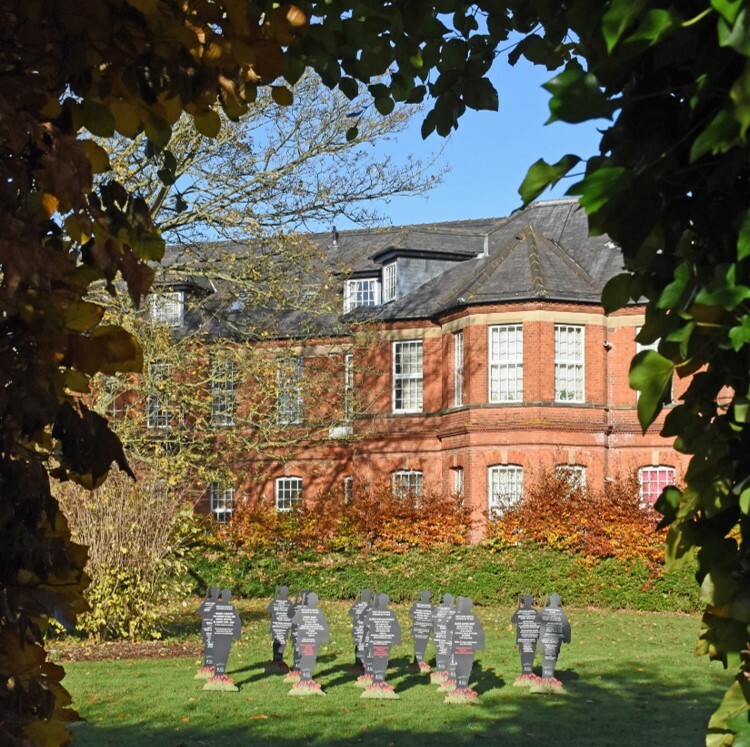 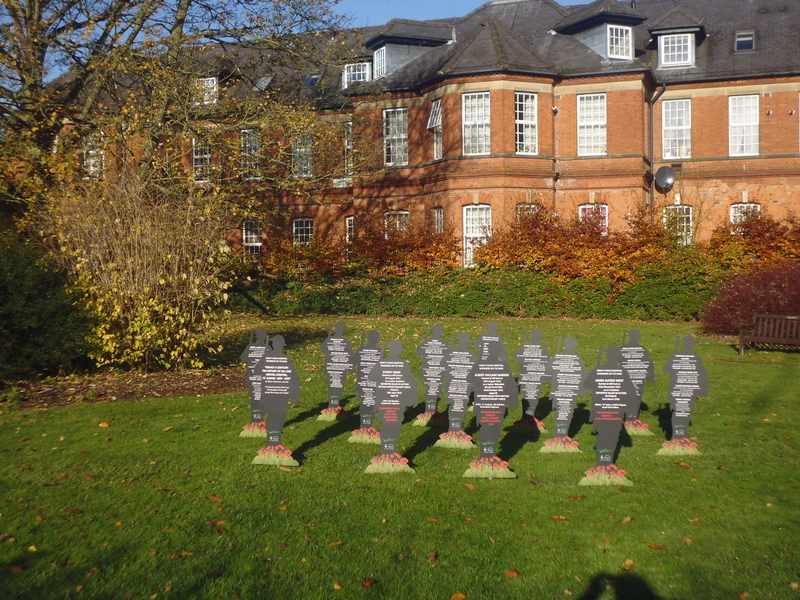 The following day, the silhouettes were moved from Hither Wood to the Hill End Commemorative Garden, with the iconic hospital building in the background. They remained here for longer than we planned, but the weather remained good and we were aware of the interest they were causing. 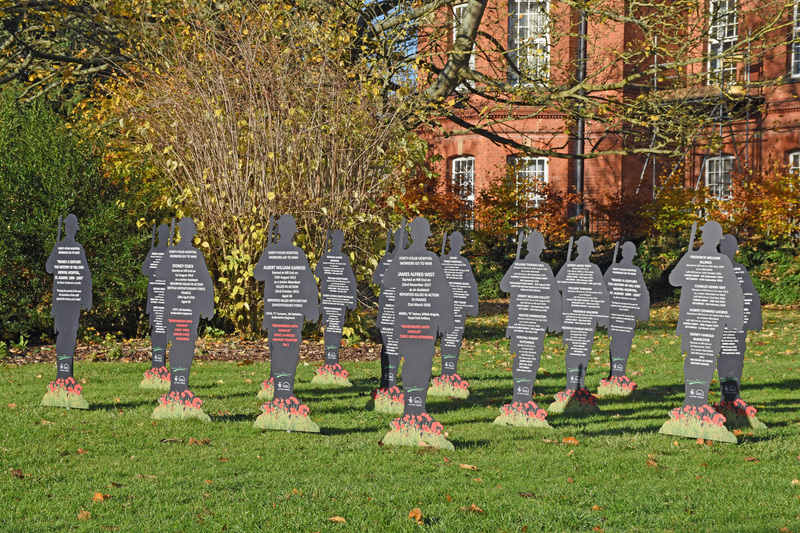 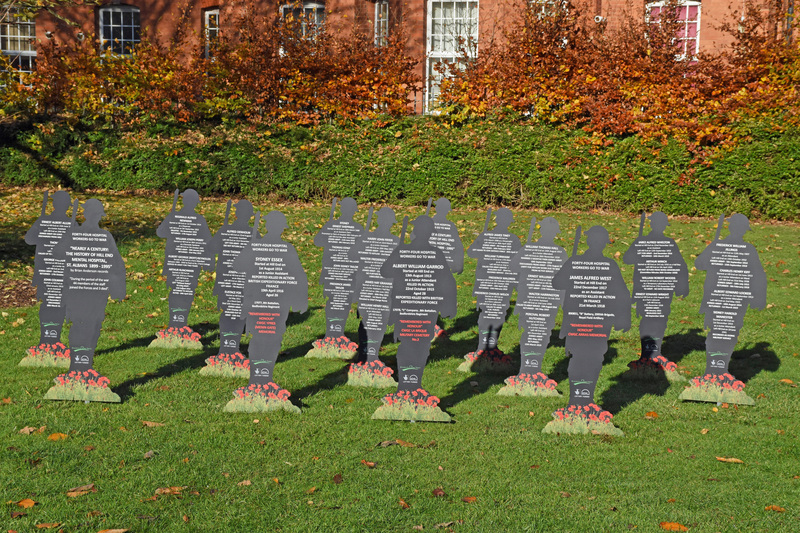 But we wanted there to be a more permanent reminder of the significant events that occured between 1914 and 1918 and how a group of forty-four hospital workers became involved in the Great War. 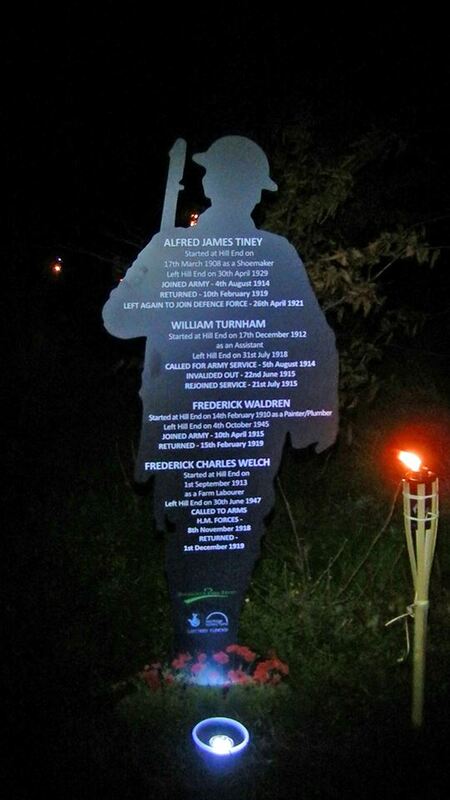 We therefore decided to plant a commemorative tree and install a suitably worded plaque in the Hill End Commemorative Garden. 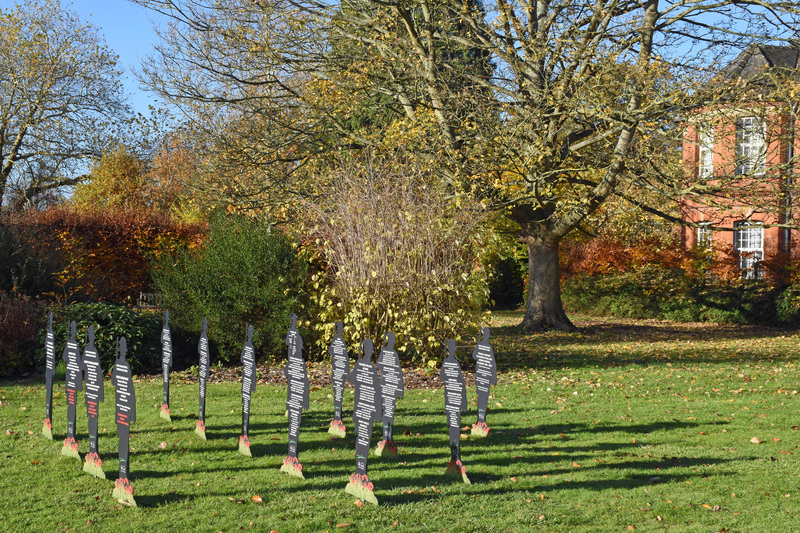 The tree of choice was a Cercis Canadenis “Forest Pansy” since we felt that the large, heart shaped crimson leaves would be fitting, especially as there were no other examples in the Park. Forty Four Hospital Workers go to War was made possible by the support of the National Lottery Heritage Fund. 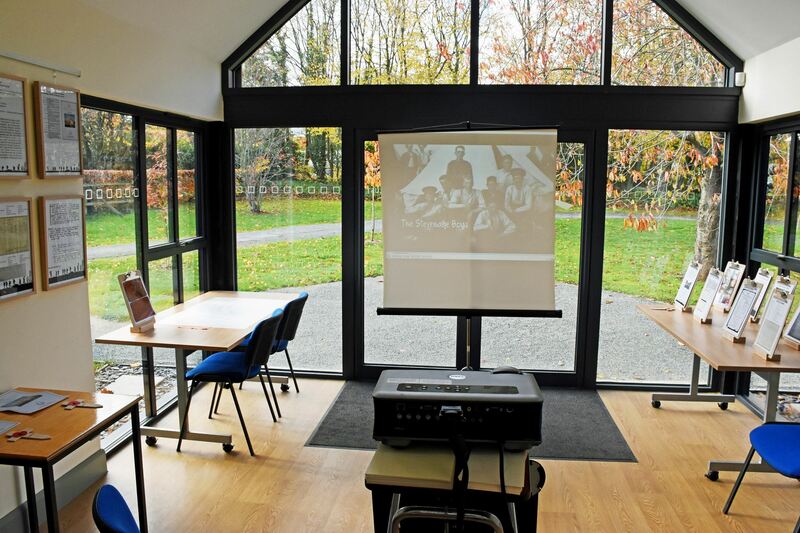 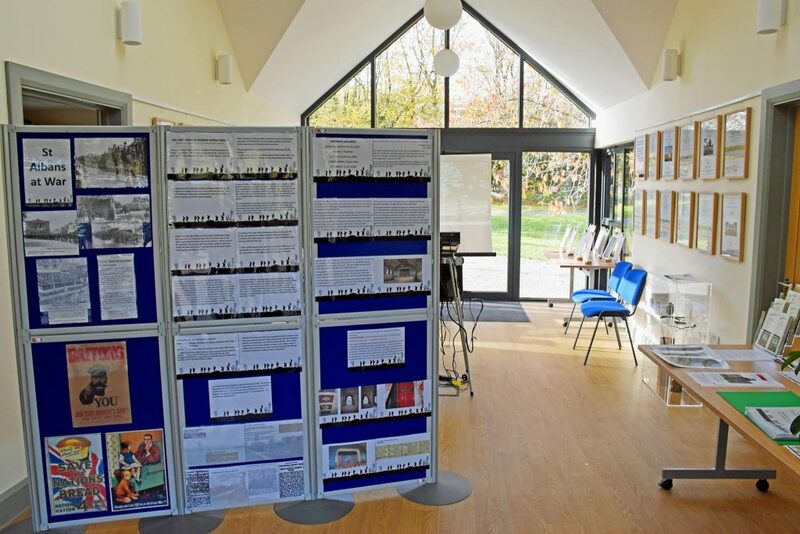 The second exhibition was mounted in the Highfield Park Visitor Centre. It opened on the 10th November and ran until Christmas 2018 and again the Trust received some wonderful comments in support of this work. 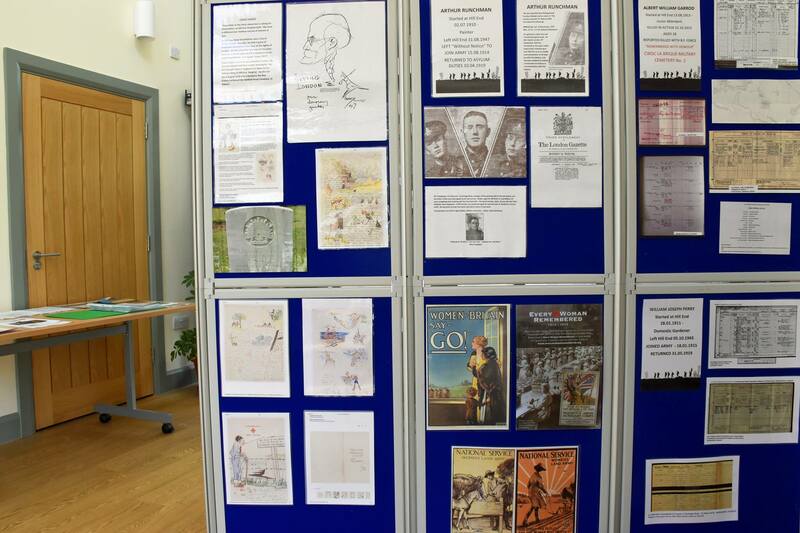 This complementary exhibition enabled the Trust to explore the history of the forty-four in greater detail, whilst also broadening the historical context. 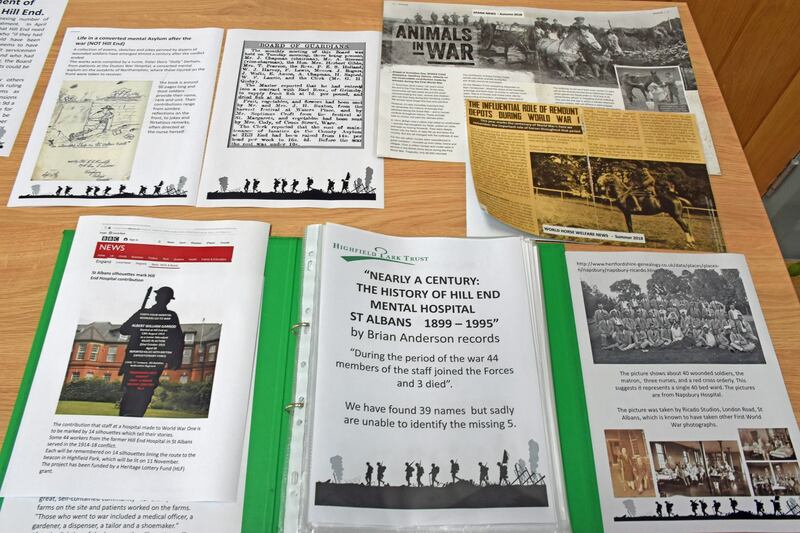 All the records shown below have been kept and are now stored by the Trust. 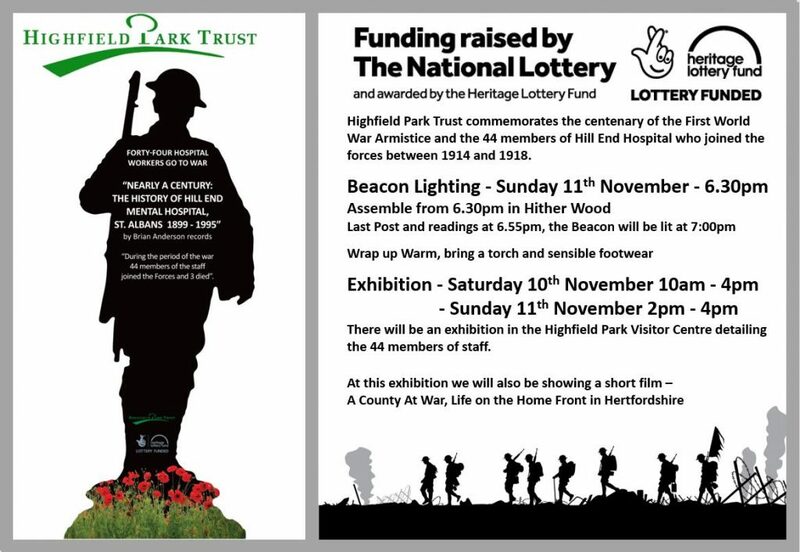 If you would be interested in seeing them, please contact the Park Manager. 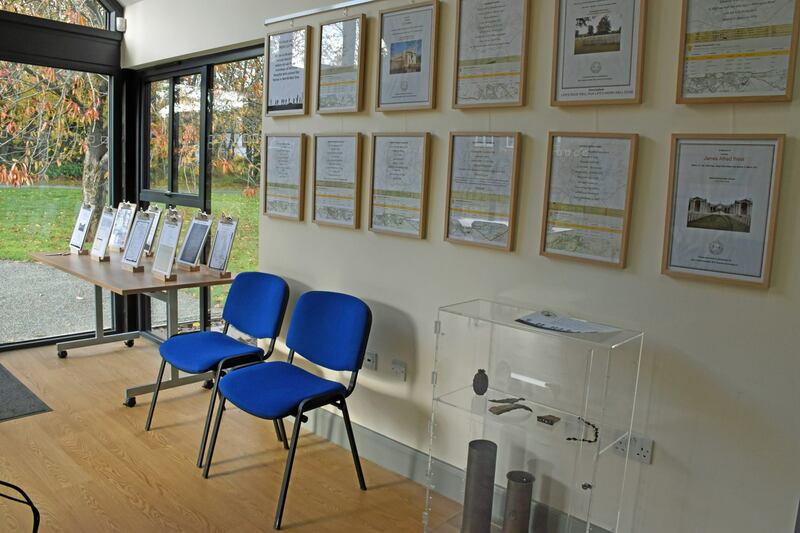 Contact details can be found elsewhere on this website. 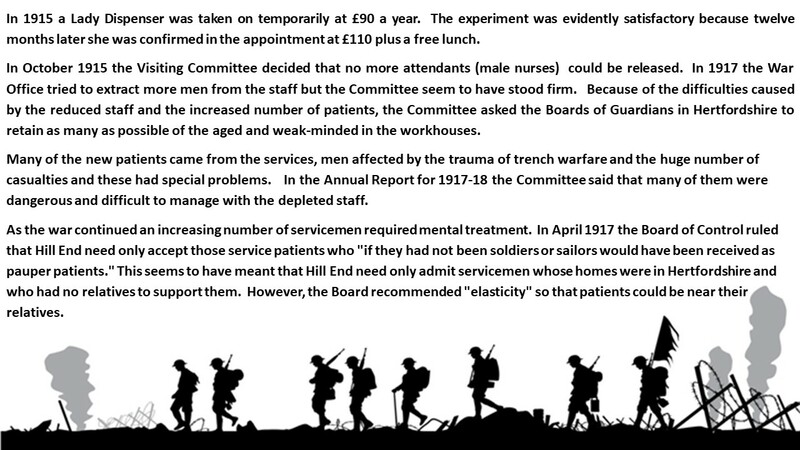 The following extracts were taken from Brian Anderson’s “History of Hill End Mental Hospital 1899-1995” and used in the exhibition. 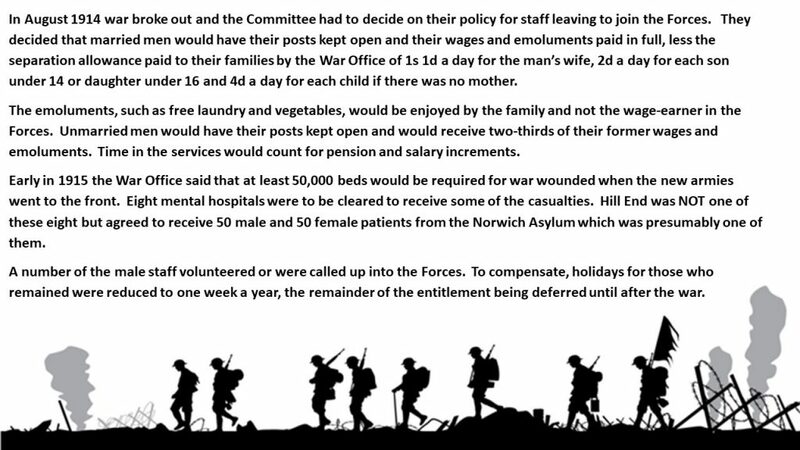 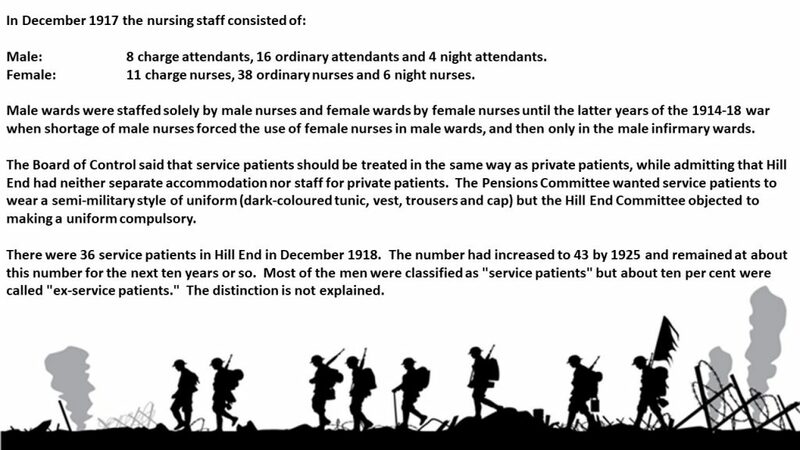 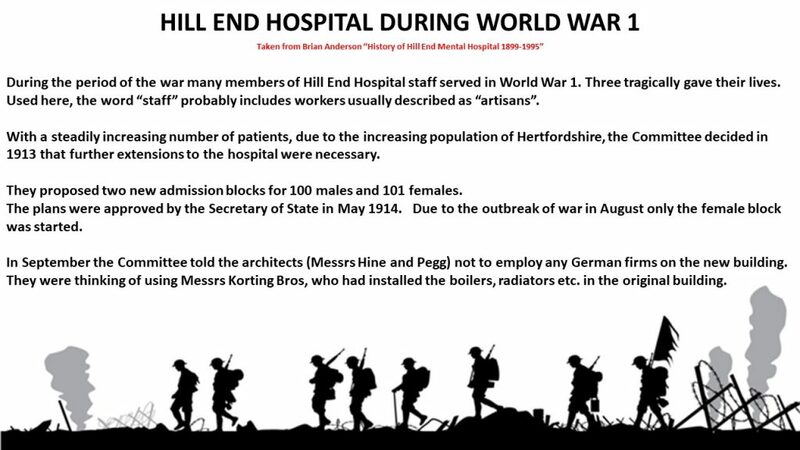 It succinctly puts in context the impact of the War on Hill End Hospital.